Are you sure that your electrical system is safe every time you go out of your house? Whether you’re leaving for work or taking a vacation for the fall, keeping your home electrical system in check is absolutely critical in preventing accidental property damage or loss. After all, you can only monitor so much of your home whenever you’re away. The best first step in keeping your electrical system secure is to disconnect any plugged appliances from power sockets. Especially if you’re going away for a number of days, keeping your home appliances plugged in (even though they’re turned off) may still be at risk of short circuiting or faulty grounding. Another safety tip to secure your home is to turn the main breaker off. This is only applicable if you have no perishable items in your refrigerator. 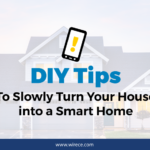 However, this may not be a good idea if you have a security alarm system installed in your home – it won’t activate if you have no power at home! You won’t know what freak accident may happen in your home while you’re away, and one potential risk is a lightning storm. To keep your system protected from a sudden bolt of lightning that may hit your house, it would be a great idea to install power surge protectors for the whole house. Feel free to talk to us at Wire Craft Electric, in case you need electrical services such as installing new devices or checking your home for safety risks. Look out for anything outside your home that may cause untoward electrical accidents. These may include a bunch of dry leaves covering an outdoor lighting fixture, electrical wires exposed to moisture, and growing plants that may snap off nearby power lines. It may be best to seek help from professionals such as electricians, gardeners, and landscape architects to check the safety of your immediate outdoors. No one wants to enjoy a destination vacation or go to work, only to return home with an electricity-related accident. Make sure that your home system is kept secure and maintained regularly.